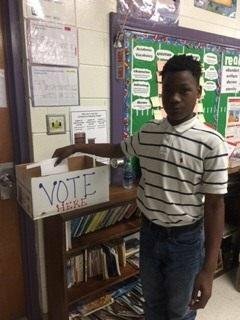 Ms. Johnson’s 6th grade Social Studies Classes participated in a Mocked Election on Tuesday, November 6. The student's ballot was a replica of the ballot used by actual voters. Governor Kay Ivey was the winner with 35 votes and Walt Maddox 24 votes.